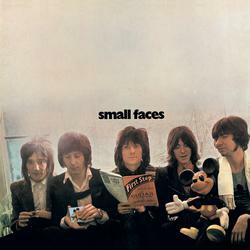 First Step is the debut solo album from the legendary Faces, originally released in 1970. Featuring a post-Jeff-Beck-Group Rod Stewart, along with Ronnie Lane, Ronnie Wood, Ian McLagan, and Kenney Jones, First Step includes the now classic “Three Button Hand Me Down”, and “Flying”. Reissued on 180 gram vinyl in a deluxe gatefold jacket.